Antioxidant capacity and antimicrobial activities ofLepista nuda (Bull.) Cooke extracts obtained with ethanol were investigated. Four complementary test systems, namely DPPH free radical scavenging, β-carotene/linoleic acid systems, total phenolic compounds and total flavonoid concentration, have been used. Linoleic, acid inhibition values ofL. nuda ethanolic extract, BHA and α-to copherol standards were found to be 84.3% 98.9% and 99.2% respectively in the concentration of 160μg/ml. Total flavonoid amount was 8.21 ± 0.56 μg mg−1 quercetin equivalent while the phenolic compound amount was 48.01 ± 0.29 μg mg−1 pyrocatechol equivalent in the extract. The antimicrobial activity ofL. nuda extract was testedin vitro by using the agar-well diffusion method. TheL. nuda extract showed antibacterial activity againstMicrococcus flavus, Micrococcus luteus, Bacillus cereus, Yersinia enterocolitica, Staphylococcus aureus, Salmonella enteritidis andEscherichia coli. TheL. 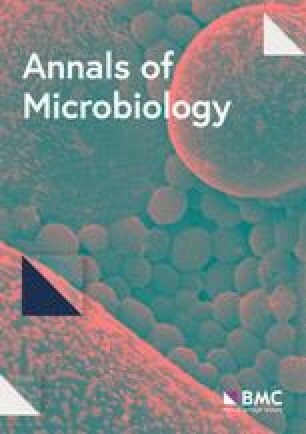 nuda extract did not exhibit antican didal activity againstCandida albicans. The extracts could be suitable as antimicrobial and antioxidativeagents in the food industry.